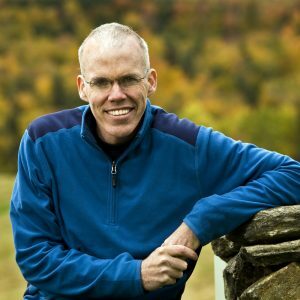 Bill McKibben is an environmentalist and author who frequently writes about global warming, alternative energy, and the risks associated with human genetic engineering. Awarded the Right Livelihood Prize, sometimes called the Alternative Nobel, in 2014, he is the founder of 350.org, the first planet-wide, grassroots climate-change movement, and is a fellow at the Post-Carbon Institute. As a student at Harvard he was editor and president of the Harvard Crimson newspaper. Immediately after graduation he joined The New Yorker magazine as a staff writer and wrote much of the “Talk of the Town” column from 1982 to 1987. McKibben’s first book, The End of Nature, appeared in 1989 after being serialized in The New Yorker. It is regarded as the first book for a general audience about climate change and has been printed in more than 20 languages; he has gone on to write a dozen more books, among them Deep Economy: The Wealth of Communities and the Durable Future (2007), which addresses what the author sees as shortcomings of the growth economy and envisions as a transition to more local-scale enterprise. McKibben won the Lannan Prize for nonfiction writing in 2000. McKibben writes frequently in a wide variety of publications including the New York Review of Books, National Geographic, and Rolling Stone. He lives with his wife, the writer Sue Halpern, and his daughter in the mountains above Lake Champlain where he spends as much time as possible outdoors. In 2014, biologists honored him by naming a new species of woodland gnat— Megophthalmidia mckibbeni— in his honor.